In 2016 Pecometh and the Peninsula-Delaware Conference embarked on a new partnership to support ministry with youth and young adults. We're calling it the Young People's Ministry Network (YPMN). To stay up to date on YPMN events and opportunities, click the "Stay Connected" button to subscribe to our monthly emails. Rev. Megan Shitama Weston is serving as the Minister-in-Residence for the YPMN. She is the point person for young people's ministry in the Conference, as well as the liason to the Conference Council on Youth Ministry (CCYM) and the Conference Council on Young Adult Ministry (CCYAM). The Pen-Del Conference has hired Rev. David Burke to serve as the Youth Rally Producer. He is responsible for coordinating the Youth Rally and Youth Rally promotion. Carl Samans is serving as the CCYM coordinator. He coordinates all things CCYM as well as CCYM sponsored events like One Day (Mission Day) and the youth track at The Well. The YPMN is working to connect with adult youth leaders and develop a network to provide increased support and training. We signed up to be a host location for a "simulcast" of great training from Download Youth Ministry. 8 veteran leaders, 7 engaging and practical topics, 2.5 hours of training, 100+ locations… 1 ridiculously low price. 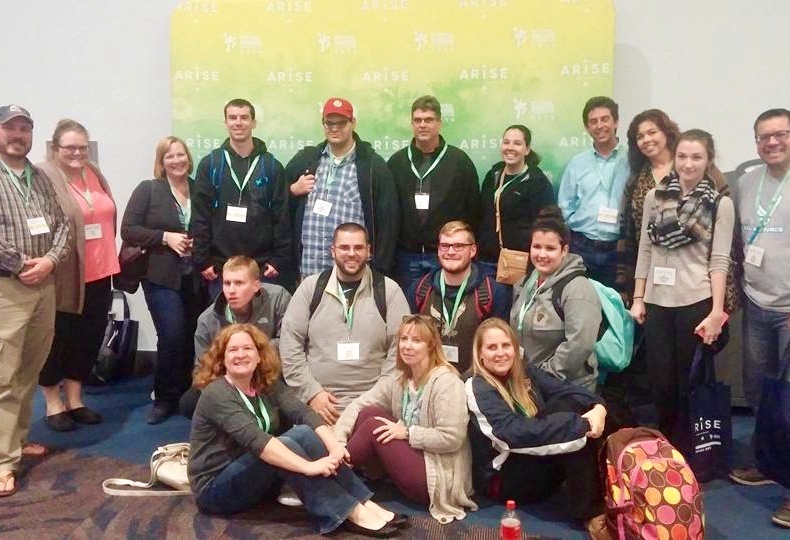 The National Youth Workers Convention (NYWC) has been training, equipping, and encouraging youth workers for more than 45 years as part of Youth Specialties. All attendees will be responsible for booking their own travel and accommodations, but assistance booking flights and vehicles at NYWC rates are typically available at the NYWC page. Click the program names for more information and registration links. If you have a question not answered here, please use the form below to reach out to Megan Shitama Weston.